JUMBLE SALE: takes place this Saturday (February 16) at 2pm, at the village hall to raise funds for the Horticultural Society. Please take jumble to the hall from 9am. Also, from 10am to midday you can renew your membership of the Horticultural Society or join for the first time. There will be free tea or coffee and biscuits and the chance to discuss this year’s Shows and seek advice and top tips on showing. All are welcome to join the Society and enter one or all of their three Shows with flowers (pot plants, cut and/or in a flower arrangement), vegetables, wine, handicrafts, cookery etc. Annual membership costs Adults £4 and under 16s are free. PLUMPTON RACECOURSE: (Map Ref: 361 154) is the meeting point for the Footpath Society’s walk on Wednesday March 6 starting at 10.30am. The walk will include The Ridge, Streat, Middleton Manor, Underhill Lane, Saillords and the chance to have lunch at The White Horse, Ditchling. For more details call 01273 890450 or 07870 142108. 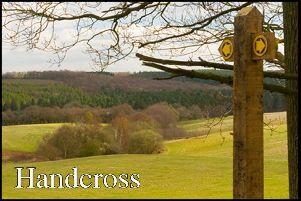 FLETCHING WALK: (four miles) meet members of the Footpath Society at the car park off Fletching High Street (Map Ref: 429 235) on Saturday March 9 ready to start walking at 10.30am. There is the possibility of a pub lunch at end. For more details call Gill and Geoff Gamble on 01273 891 218 or 07719 540121. WOMEN’S INSTITUTE: The next meeting of the WI is, at the village hall, on Wednesday March 13 at 7.30pm. Visitors and new members are always welcome and to find out more call Sue Walton on 01273 891827. TALK: will be at the village hall on Wednesday March 20 at 2pm for 2.30pm, speaker to be advised. All are welcome to join members of the Footpath Society this afternoon. LAINES FARM: Copyhold Lane, Upper Ridges, Heaselands and Newbury Pond will be included in the Footpath Society walk on Sunday March 24. Meet at Cuckfield car park, Broad Street, ready to start walking at 2pm. For more details call Diane Ellis on 01825 723716 or 07990710521. JUMBLE SALE: takes place, at the village hall, on Saturday March 30 at 2pm to raise funds for the Tennis Club.